Beveled glass is surrounded by a sleek polished nickel frame in this beautiful modern wall mirror. This contemporary polished nickel wall mirror has a stylish rectangular shape with beveled mirror glass, surrounded by a minimalist premium metal construction frame. Small round polished nickel finish mounting brackets attach securely to the wall and add a stylish detail. Designed to be hung horizontally only. From Gatco. 28" wide x 32 1/2" high x 3 1/4" deep. Hang weight is 24 lbs. Sleek contemporary rectangular wall mirror from the Gatco Tavern Mirror collection. Polished nickel finish. Premium metal construction frame and hardware. Beveled glass. Is this item available locally? 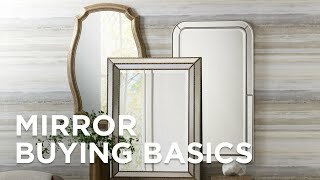 BEST ANSWER: Hi, this mirror is only offered online.